In today’s business era, the growth of universal economy is getting more complex and interdependent every now and then. Disturbances to business such as unforeseen disruptions, events, internal and external intimidations are common occurrences to every kind of businesses whether its is a private or service sector and small or large. Therefore, it has become an increasingly imperative factor to build or develop the ability of businesses to continue its operations regardless of any obstructions to it. 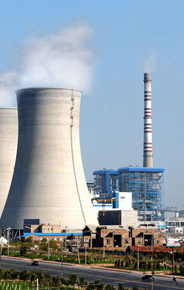 However, the utter truth is that most of the organisations become a prey to such unforeseen threats due to complete lack of planning and resources to be able to continue operations during such instances. At the very extreme, threats to businesses can hold back or even cease its operations due to poor planning which results in direct impact over customers leading to increased operational expenditure and ultimately leads to loss of customer confidence. Therefore, an organization should be able to device proper planning, processes and systems in place to be able to continue its operations no matter what happens. A business continuity management system is one standard which defines a framework that the organization needs to implement in order to handle disruptions of any kind to businesses. WHO SHOULD GET ISO 22301 CERTIFIED? Business continuity management is a process to identify the risks and threats that could have an impact on the business operations and provides structure for managing operations. ISO 22301:2012 – Business continuity management systems, is an international standard which deals with the management of business continuity enabling you to respond effectively to any sort of business disruptions. The objective of any business continuity management system is to imply greater competitiveness and decrease the amount of ‘down time’ a business will have to face due to unexpected occurs. The standard is developed on the basis to safeguard organizations from the threats related to organization outages which can happen due to unpredictable disturbances or disasters. Disturbances to your business may lead to loss of revenue, data breaches, let down to provide usual client services according to service level agreements (SLA’s). A BCMS doesn’t give you a detailed step by step guide as to how you should evade a crisis. Rather, it provides organizations with a framework of systems and processes that should be implemented by the organisation to ensure that they can continue operating during the most challenging and unexpected circumstances – protecting their staff, preserving their reputation and providing the ability to continue to operate and trade.The standard will assist organisations in the design of a BCMS that is appropriate to its needs and meets its stakeholders’ requirements. These needs are shaped by legal, regulatory, organisational and industry factors, the organisation's products and services, its size and structure, its processes, and its stakeholders. 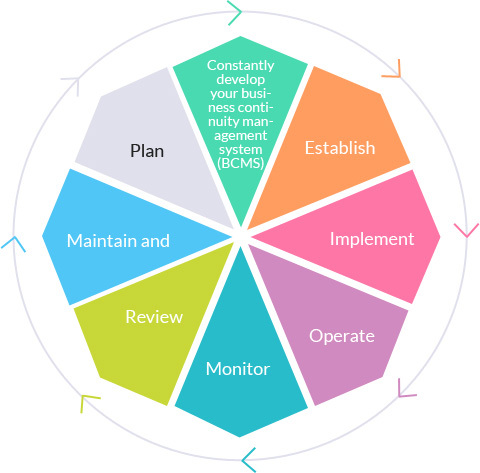 An effective BCMS provides a rehearsed method of restoring an organization’s ability to supply its key products and services to an agreed level within an agreed time after a disruption; and delivers a proven capability to manage a business disruption and protect the organization’s reputation and brand. The ISO 22301 standard is one of the first standards worldwide; to be harmonized with the Annex SL that prescribes structure of all current and future management system standards (MSS). It is largely based on BS 25999-2 (a British standard for business continuity) which prescribes detailed requirements for organizations who wants to build a business continuity management system (BCMS). Any type of an organization can refer to this standard and develop its own business continuity management system. The standard mainly focuses on the fundamentals of a business continuity management system which helps in establishing the process and terminology of business continuity management by delivering a basis for understanding, designing and implementing business continuity within your business.Unlock new opportunities for your business and fulfill supply chain necessities by certifying to ISO 22301 to attain expectations of organizational resilience and attest that you follow the best practices of business continuity at the forefront of whatever you exercise. The inherent requirement for getting certified to ISO 22301 is to have an effective emergency action and tragedy retrieval plans to be in place enabling business process to react aptly and recommence business activities at the earliest. The objective here is to develop and maintain a best practice approach to respond effectively to any disruption, by implementing continuous improvement tools and techniques. The ISO 22301 covers the needs for a robust business continuity management system, which will permit the company to minimize the risk associated with disruptions and to make sure control is maintained at all times. Every organization, whether it is large or small, for profit or non-profit, private or public, BCMS is conceived in a way that it is applicable to any size or type of organization. By implementing a robust and an effective Business Continuity Management System (BCMS) will aid your organization towards speedy recovery from a disaster or disruption by safeguarding an organization against the proceeding reputation injure which can occur from threats to business. However, the extent of application of the standard’s requirements depends on the organization's operating environment and complexity. The very essential part of the ISO 22301 standard is that, the BCM system should contain a clear definition and understanding of your business’s perilous events and the dependency factor on the resources which forms the major aspects of your service outcomes. 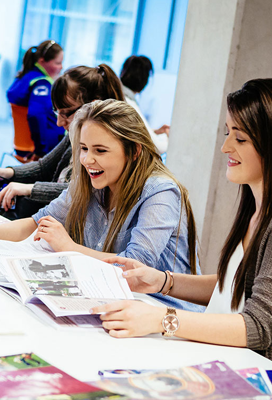 This is achieved through an effective Business Impact Analysis where you can also understand the impact on the organisation during the event of failure of such resources. At TRAIBCERT, we follow a systematic fit-for-use plan which is very useful and effective over the identification of business threats of any nature and its impact over business operations. Purely based on the PDCA (Plan, Do, Check &Act) model,the ISO 22301 standard certifies an organisation’s BCMS which involves a detailed assessment of its lifecycle including planning, establishing, implementing, operating, monitoring, reviewing, maintaining and continuous improvement. Business Process Documentation and Approval:The very next step is to understand the developed scope that defines the business context and its relevance to the business continuity. However, to identify the efficiency and effectiveness of the scope process approval from every level of the management is highly required and recommended. Allocate roles and responsibilities: This phase involves development of individual plans with teams that are responsible either for 'respond, recover, resume and restore' processes.The individual plans are discussed and handed to teams for adequacy, acceptance and ownership. At TRAIBCERT we determine that the best practice business continuity plans must be documented at all stages of development. Establish Effective Communications:For an organisation to determine the best corrective action for a threat, it is highly essential to establish an effective communication protocol of the management’s strategy and decision making criteria’s. Initiate staff awareness program: Special emphasis needs to be laid to cover all aspects of the plan – in order to ensure relevance, awareness among the teams, and the organisation. Risk assessment &Business Impact Analysis (BIA):To better understand the core objectives of the business it is a must to implement a rigorous BIA at this phase. Develop business continuity plans and strategy:BCM strategies and processes that are inline with the business and ISO 22301requirements needs to be developed. BCM System testing: The testing phase is the most crucial phase for ISO 22301 certification as any organization’s BCP is as good as it is tested. BCM monitoring and maintenance:In this phase, your organisation’s newly implemented BCMS system will be verified through a series of audits to ensure compliance with the requirements of the ISO 22301 standard. Stage 1 Audit: From this stage, the certification process is carried out by the auditors of the certification body focused on the documentation of the implemented BCMS. Stage 2 Audit: In this phase, the implemented BCMS is verified to ensure it complies with the requirements of the ISO 22301 standard at all levels. 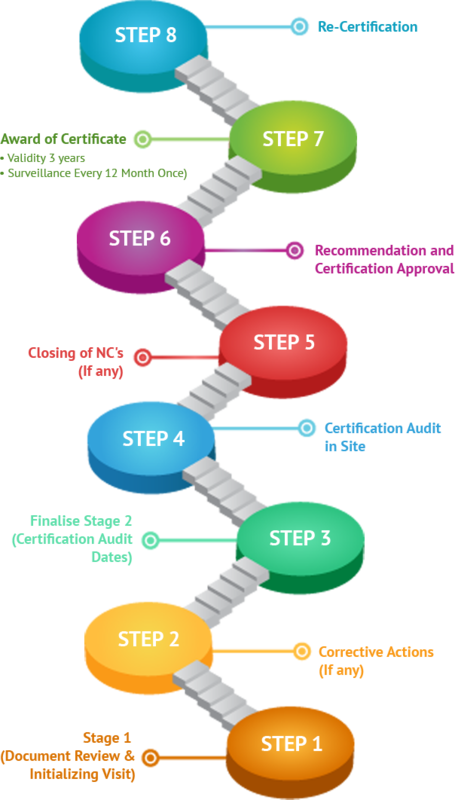 Recommendation & Approval: Once an organisation BCM system is found to fulfill all the requirements of the standard and is verified, it will be recommended by the certifying body towards getting certified. Get certified:An ISO 22301 certificate will be issue for your organisation by the certifying body. Surveillance Audit: Once the certificate has been issued, periodic surveillance/monitoring is performed to ensure its adherence to the standards. A BCMS is as good as it is tested. Therefore we at TRAIBCERT determine that the most important factor for a BCMS is testing of your plans and process as failure to quickly recover from an outage defines the lack of a well-defined recovery plan. This is a clear case of an absence of a BCMS. Once our highly competent & qualified auditors who are experts in the sector, identifies that yousatisfy the requirements of ISO 22301-2012, we TRAIBCERT a leading accredited certification body will Issue the ISO 22301-2012 certificate. Compliance issues can be identified and managed for alternative processes. Effectiveness of operations is totally improved which help you get a competitive advantage. Benefit your reputation and contribute to continual business improvement. Protection of both the physical and knowledge assets of the business. Ensuring continuity of supply to end user. We TRAIBCERT, an independent third party certifying body, make sure that ISO 22301 standard implementation does not just become a documentation activity but also a way of life for the organization that lays a foundation for Total business continuity Management and business continuity conscious organizational culture.TRAIBCERT’s professional and expert auditors will guide you starting with gap analysis in your business till business continuity audit in order to make sure that your business is equipped to withstand in the event of a major disaster or incident, and ISO 22301 certification service. Our business continuity services also include preparations for potential incidents, evaluate the potential risk, develop a defense plan which ensures that your business continuity. A tailor-made and scalable package to suit the organization requirements with hand-picked and customized deliverables. 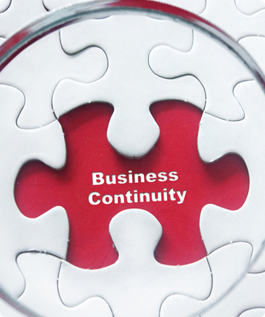 Business continuity and BCMS Awareness creation and enhancement. BCM and Emergency response trainings. Management & Maintenance BCMS documentations. Risk Assessment and mitigation/treatment guidance. Planning, facilitation and support for Periodic BCP and DR testing. And almost everything required to ensure a 100% successful ISO 22301 certification audit within scheduled project completion time period.The biggest benefit that an organization expects from ISO 22301 is improvement in business process control through process standardization. No matter what benefits you are looking to reap from ISO 22301certification, we will make sure that your organization benefits from ISO 22301 certification. An organisation needs to take precautions and be prepared in order to continue business regardless of the nature of a challenge. Implementing business continuity management systems and standards enables your organisation to handle any situation.So come join hands with TRAIBCERT, an effective and efficient partner for all your training, certification related needs. 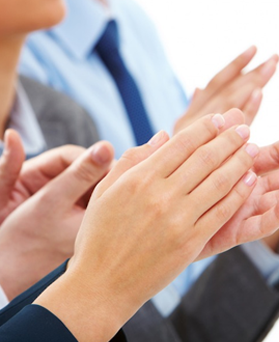 If you are eager to further promote your expertise, TRAIBCERT has the right training for you. Fill out our free Quick Quote form today and someone will get back to you within 24-48 hours or mail us on info@traibcert.in call us on +91-9952078401, +91-9176287301 Landline -+91-44-24357033 to speak to a member of our team about your certification requirements.